In another study, researchers found that patients who had virtual reality training reported higher test scores in executive function than those who had conventional treatment or therapy. 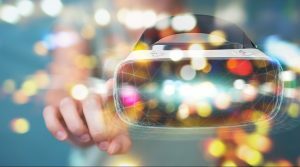 Doctors have also been using virtual reality to help patients with schizophrenia increase their job suitability by improving their interview skills. Even here, virtual reality was found to have an edge. Patients who underwent virtual reality training reported higher scores on online interview tests compared to those who underwent conventional treatment. If your loved one suffers from schizophrenia, he or she may be eligible for Social Security disability benefits. Talk to Atlanta Social Security disability attorney Lisa Siegel, and understand your legal rights to a claim.